Do you keep track of your ACM panels by marking them with a sharpie or manually affixing labels? 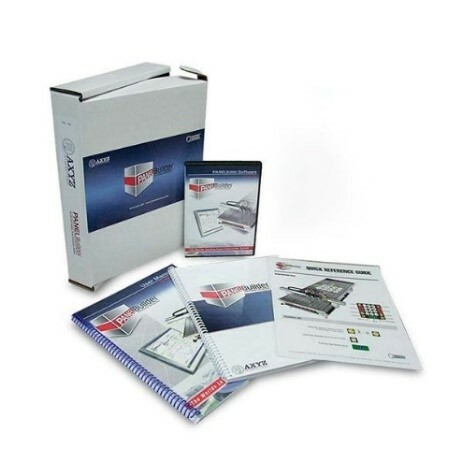 Or perhaps you’re using costly inventory software that’s not integrating well with your PANELBuilder machine? If this is your struggle, then you need the PANELTracker Management System, part of the latest PANELBuilder solution. It’s simple to use and quickly keeps tracks of all your panels as they move from one stage of production to another. If saving time and money is important to you, then the PANELTracker system is the only project management tool you’ll ever need. 1. Project Manager, who creates the projects. 2. General User/Operator, who scans the panels. The Project Manager creates the project using the PANELBuilder software. This is where the panel shapes are designed and cut, according to customer specifications. Once this is complete, the data file is exported into the PANELTracker system. The Operator uses the RPD file in PANELTracker to cut the panels on the AXYZ CNC Router. Then, the panels are scanned and marked as “cut” in the system, and the file is updated. Once the panels are cut, the Operator will add extrusions to the panels. The panels are scanned again and marked as “fabricate” in the system. The file is updated with this new information. Finally, the Operator will prepare the panels for shipping. Panels are scanned, the file is updated and the panels are now identified as ‘packed”. On the day of pickup, the Operator will generate a packing slip for the packing crate, where the panels are stored. The PANELTracker updates the status of the crates as “shipped”. Done! From production to packaging and finally shipping – keeping track of individual panels has never been easier! 1. Send an email to the Project Manager with the details of the damaged panel. This also identifies where the damage occurred in the 4-step process. 2. Send the single part .NC file, so the panel can be easily reproduced. 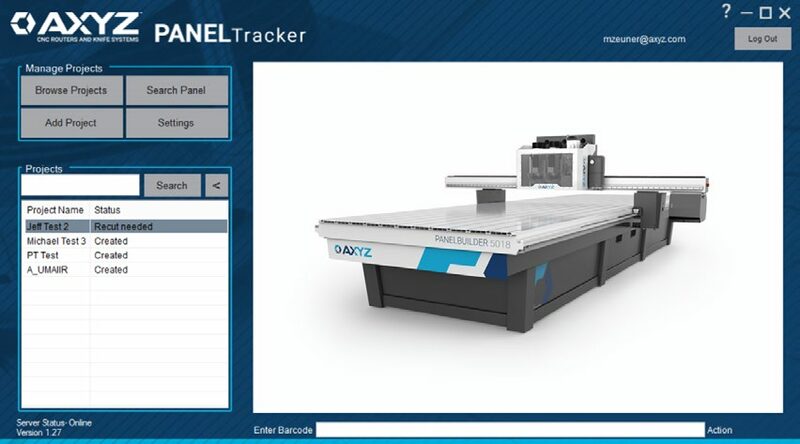 The PANELTracker simplifies the panel tracking process for all PANELBuilder customers. 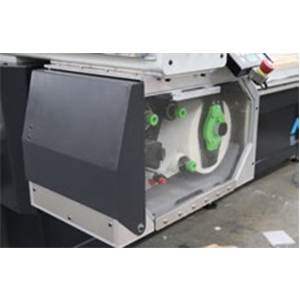 It’s an automated solution that is as cost effective as it is production efficient. Exclusive to AXYZ – there’s no other inventory tracking system like it. Contact a Sales Rep to ask questions about PANELTracker or any other feature of the new PANELBuilder.